The Pato Sledge Chair is a multipurpose, eco-friendly chair made of polypropylene and steel, which is produced completely in Denmark and is 100% recyclable. It is part of the Pato Collection by Welling & Ludvik for Fredericia. The foundation of the series is the seat shell, which together with different frames, accessories and additional functional features, becomes a luxurious seat. The Pato series addresses any needs in residential, office and public spaces and ensures extra comfort with the upholstered versions. The seat shell’s polypropylene is manufactured in Denmark. The Pato shell has a dense content structure that ensures a silky, yet resilient, surface. The beveled edge ensures that the chair conforms optimally to the user’s body, so that the chair is comfortable even after prolonged usage. The frame’s high-quality steel comes either powder-coated or chrome-plated. 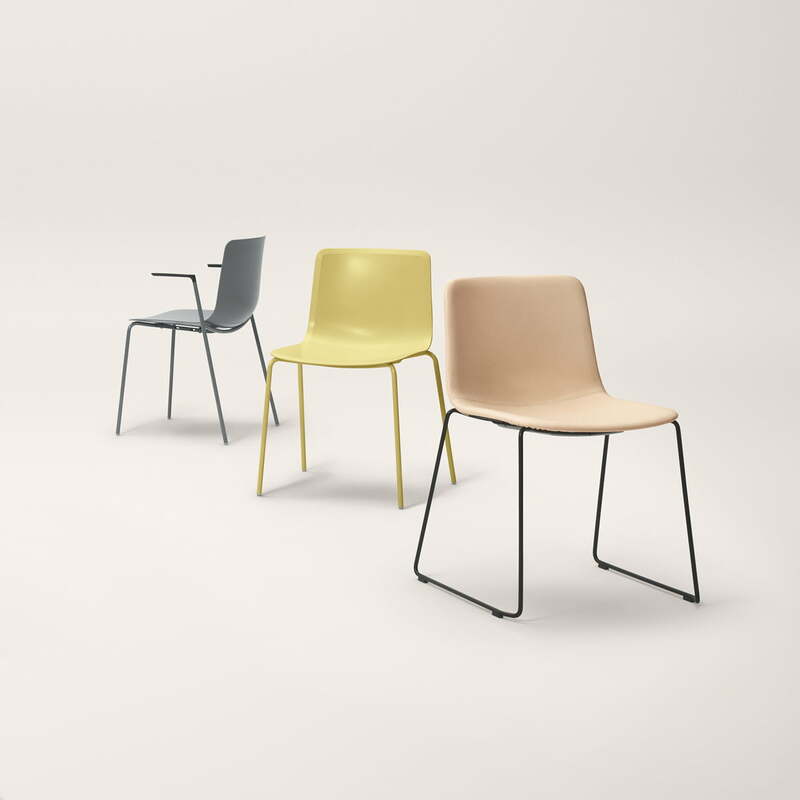 In close cooperation with local subcontractors, Fredericia retains control over all stages of production and assembly of the chair, which are made in the Fredericia factory. The Sledge chair by Welling & Ludvík for Fredericia is available with seat shells in different colors, materials and upholstery and with frames made of powder-coated or chrome-plated steel. 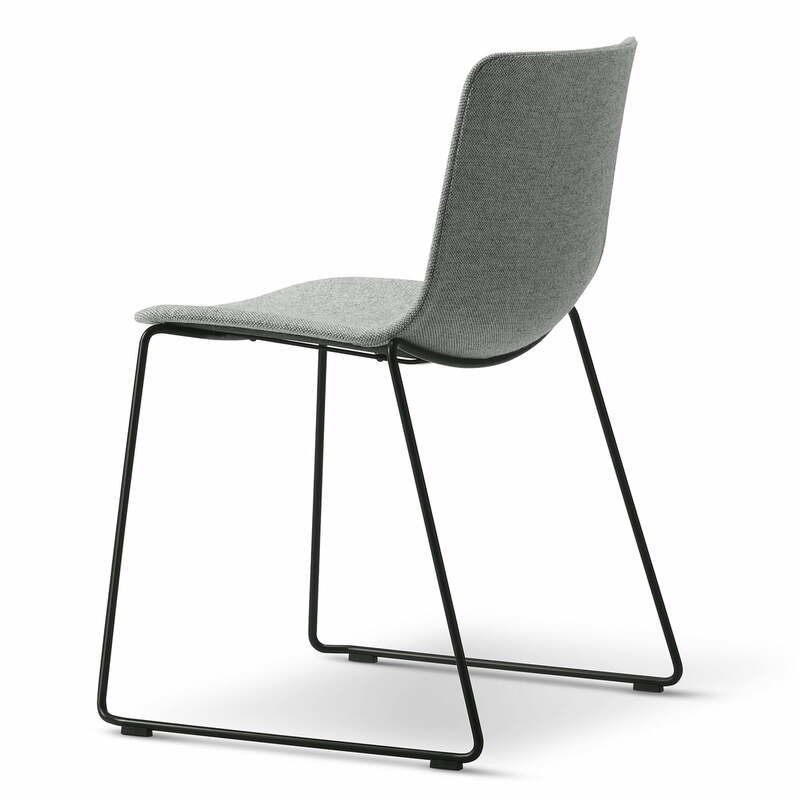 Individual image of the Pato Sledge Chair by Fredericia. Both the steel sledge frame and the seat made of polypropylene are lacquered in an ocean color. Individual image of the Pato Sledge Chair by the manufacturer Fredericia in stone. The assembly and the check of the chair take place in the Fredericia factory. 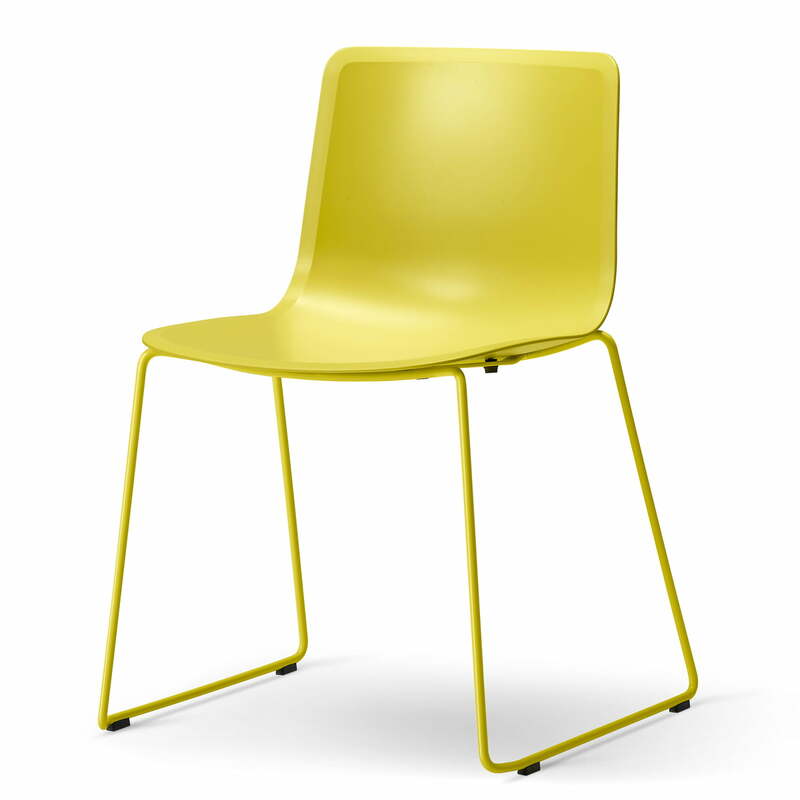 Individual image of the Pato Sledge Chair with a seat shell made of polypropylene and a frame in powder-coated steel in yellow by the Danish company Fredericia. 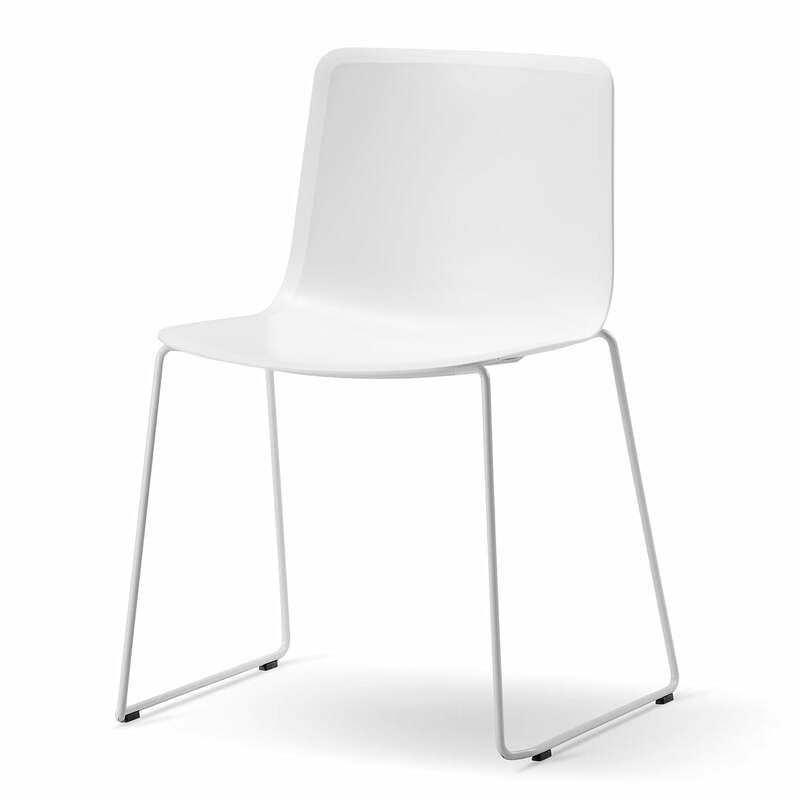 Individual image of the Pato Sledge Chair by Fredericia in white. 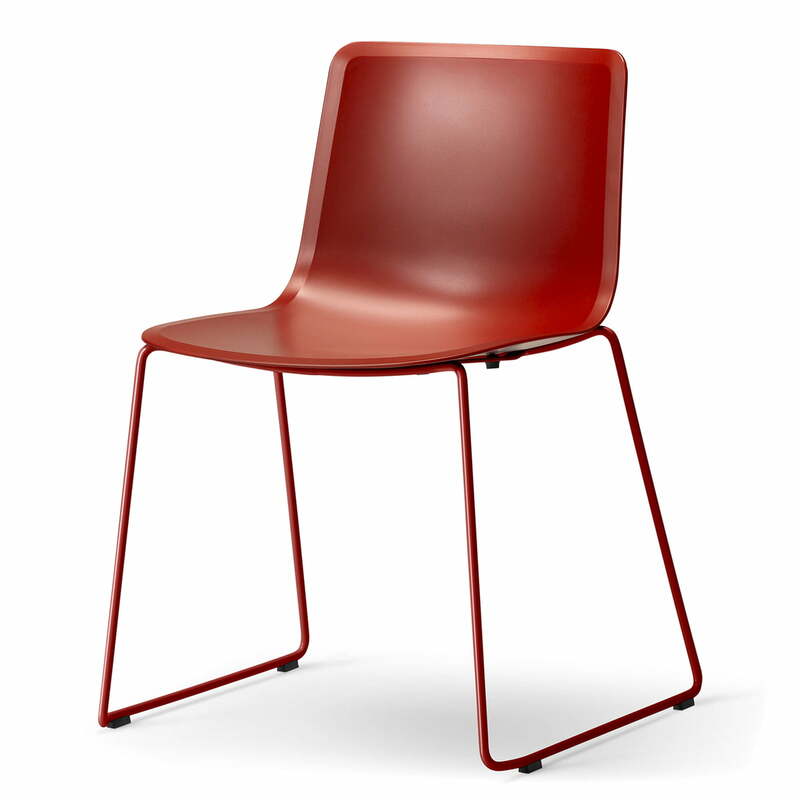 The chair made of polypropylene and steel can be recycled to 100% when no longer in use. 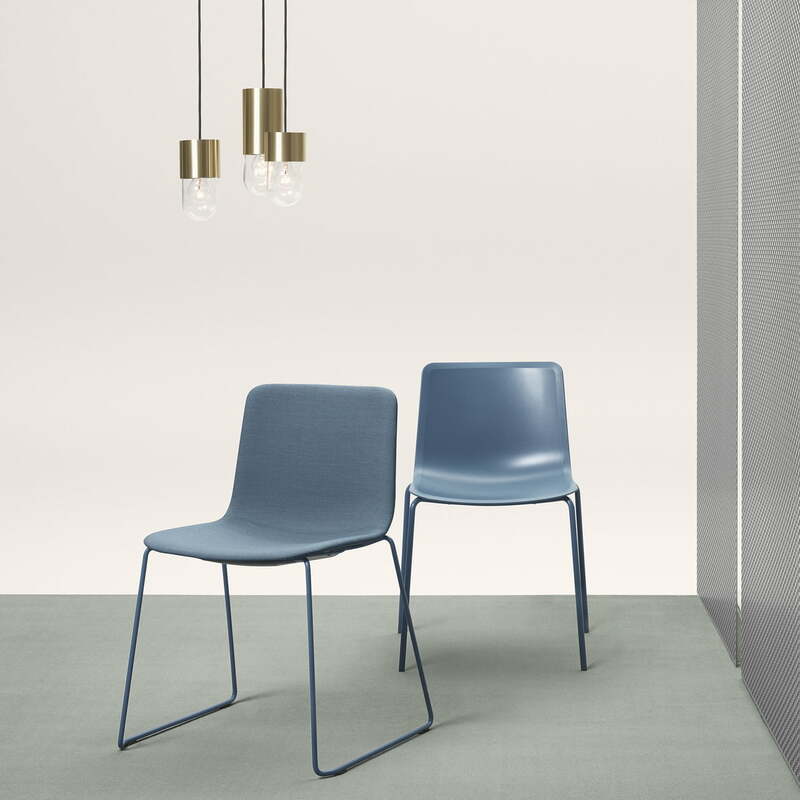 Individual image of the Pato Sledge Chair by Fredericia in blue. 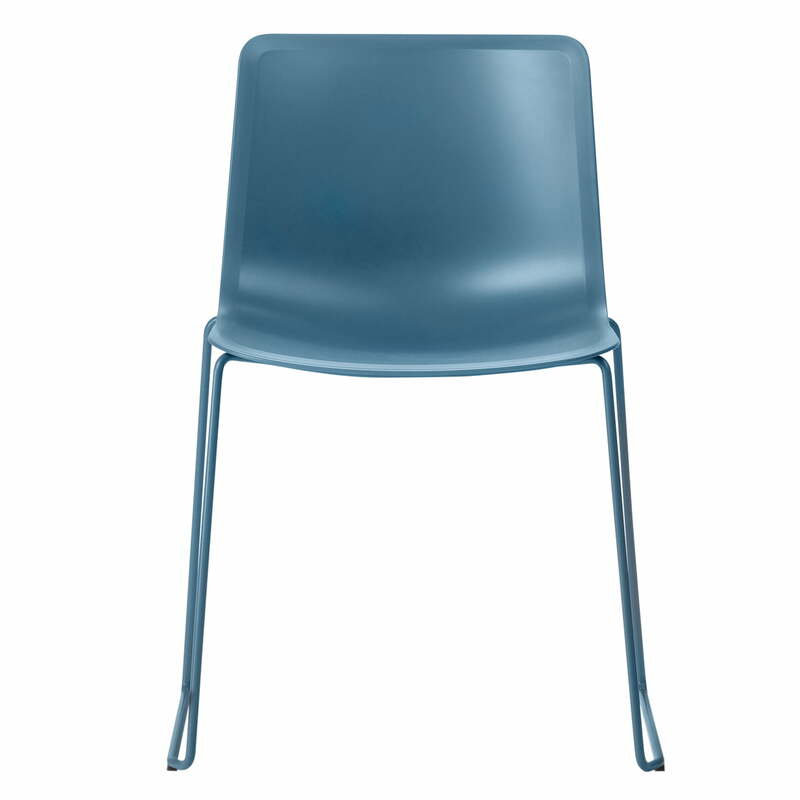 The seat shell’s polypropylene is manufactured in Denmark. The shell with a silky surface is elastic and stable at the same time. 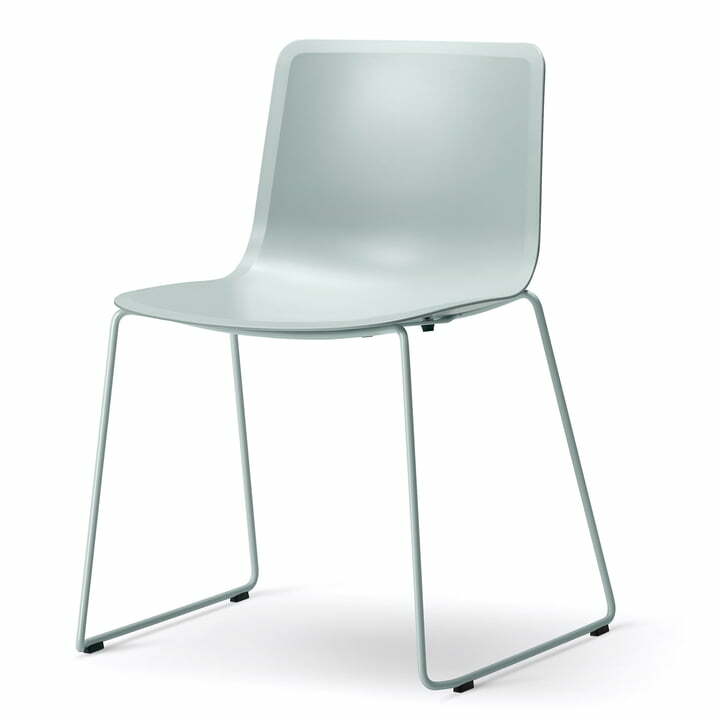 The sledge chair by Fredericia is a multipurpose, environmentally friendly chair made of polypropylene and steel, which is 100% recyclable and completely produced in Denmark. The Sledge Chair is part of the Pato Collection by Welling & Ludvik for Fredericia. The Pato series from the Danish manufacturer addresses any needs in residential, office and public spaces and ensures extra comfort with the upholstered versions.